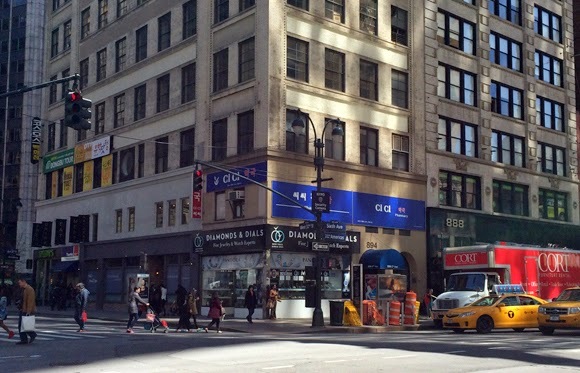 Diamonds & Dials has long inhabited Herald Center, right on the corner of 34th Street and Broadway in the heart of Herald Square. But Adam Gindi, the owner and very hands-on operator of this family business, has long understood that nothing is permanent on 34th Street. So a few years ago, he acquired a space on Greeley Square. This is home #3 in the 34th Street District for Adam and Diamonds & Dials, one of the last independent and family-owned businesses on 34th Street. His grandfather founded the store, then called Gindi Fine Jewelry, with Adam's father in 1959. Gindi's was housed in what is now Old Navy, but back then was known as the somewhat infamous 34th Street "Arcade" (aka the Penn Arcade; look for an Arcade post soon in From the Archives). Adam shared some very entertaining and harrowing stories about the old days of retail in the Arcade, including rooftop robberies (thieves would climb the rooftops, store-to-store, and jump down into the arcade at night), and the time he chased a robber into the subway and narrowly missed getting shot. With the arrival of Old Navy, and the end of the Arcade, Adam moved the store to Herald Center in 1998. Recognizing a good opportunity for a re-branding, he changed the name to Diamonds & Dials to reflect his more upscale merchandise. Now, in 2014 and with the renovation of Herald Center, Adam will be closing his 34th and Broadway store early this summer (the store is currently hosting a big moving sale). Lucky for us, he had the foresight to open Diamonds & Dials Greeley Square a few years ago. 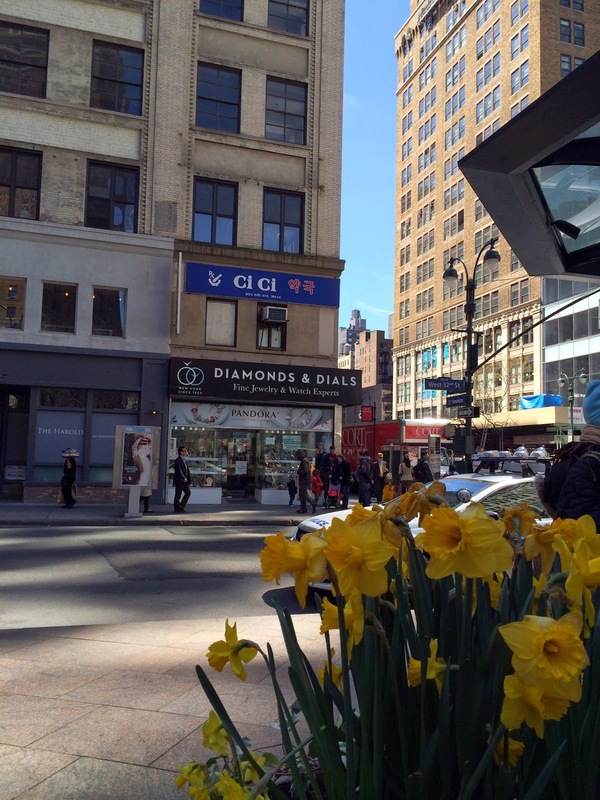 Located just steps away from Herald Center and catty-corner to Manhattan Mall, the jewelry store's fans can still shop their favorite accessories and get the best personalized service in the district. I should know, as while I talked with Adam in his Herald Square location, I was treated to a free cleaning of my shamefully tarnished silver-heart necklace. I also watched him greet and welcome each customer who entered his shop, many of whom he knew by name. With such impressive personalized service and a vast selection of jewelry, you'll be hard-pressed to find a better place to buy your diamonds and watches in the district. So many pretty things in Greeley Square now!